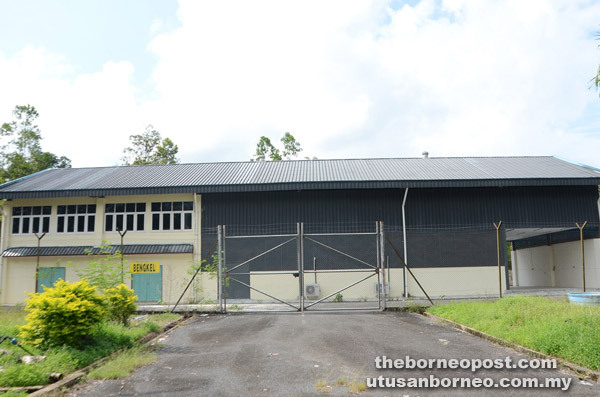 The new fruit collection centre in the vicinity of Ulu Layar Agriculture Integrated Centre inside Pusat Sumber Pembangunan Desa Layar in Betong. BETONG: The state government has set up a new fruit collection centre in the vicinity of Layar Agriculture Station to help local farmers sell their fruits. Deputy Chief Minister Datuk Amar Douglas Uggah Embas said once the centre is fully operational, it will boost the rural economy and incomes of farmers in the region. “Once the centre is ready, my ministry together with Fama will collect the fruits from the surrounding areas and process them there. “This way, fruits will not be wasted and the farmers will get extra incomes,” he told BAT 7 yesterday. Uggah who is also Minister of Modernisation of Agriculture, Native Land and Rural Economy revealed that apart from Betong, other centres to be set up under the initiative will be in Tarat, Sibu and Kapit. He revealed that the total cost of setting up these four centres is RM8 million. Uggah hoped such centres will encourage more farmers in rural areas in the state to grow more varieties of local fruits. The two centres namely at Betong and Tarat will be operational this year while the remaining two by next year. “This initiative to boost the income of farmers in Sarawak is done as a collaboration between the government and the private sector,” he said. Ulu Layar Agriculture Integrated Centre is located inside Pusat Sumber Pembangunan Desa Layar (Rural Resources Development Centre Layar) in Betong.